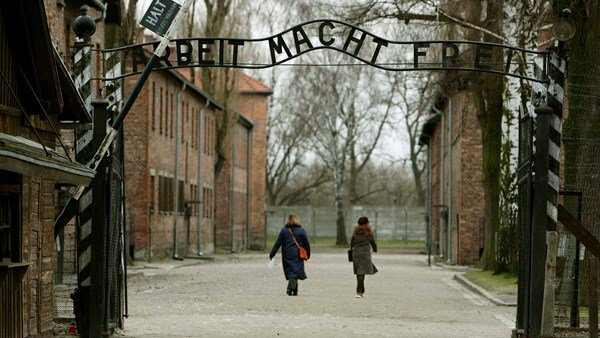 Today is Holocaust Memorial Day. In Ireland the official Holocaust commemoration takes place today in the Mansion House. It has taken place each year with the help of sponsorship of the Irish government initiated by me since 2003. As Minister for Justice, Equality and Law Reform in that government, I took the first opportunity to publicly and formally apologise, however belatedly as far as the Irish State was concerned, for the abject and dismal failure of the pre-war Irish government to offer any refuge to those Jews who were desperately seeking refuge for them and their families from the vile Nazi persecution and for the begrudging attitude shown to the post-war Holocaust survivors. I pointed out that the Irish State’s failure was explained to a significant extent by the prevalence in Irish society of casual but widespread anti-Semitism. The Jewish community in Ireland, although almost uniquely in Europe granted explicit recognition in our constitution enacted in 1937, were nonetheless subjected to very serious anti-Semitic prejudice and discrimination in the day-to-day social life of the state. Attacks on Jewishness and on what was termed the Masonic-Jewish-Marxist conspiracy and its influence in politics, the media, and the economic life of the country were commonplace, emanating from lay and clerical sources. In the days of strident Catholic political hegemony, clerical authors not infrequently used books and pamphlets to warn the laity of the dangers of Jewish influence as the visible face of a satanic threat to faith and morals. Such attitudes persisted well into the 1950s and 1960s. It was in that historical context that I delivered a comprehensive apology on the authority of the Government and on behalf of the Irish State in 2003. So the Round Room of the Mansion House will see today the 17th Irish Holocaust Memorial Ceremony in the same week as it hosted the Dáil 100 Commemoration. Irish attitudes have changed dramatically over those 100 years. Dáil Éireann itself heard anti-Semitic speeeches from some of its deputies; others doubtless held anti-Semitic views but refrained from uttering them on the floor of the House. The immense barbarism, inhumanity and pure evil of the Holocaust is now well known. Children learn about if from an early age at school. The Holocaust Educatioal Trust helps hugely in that vital educational process. We can say that it must never happen again – to the Jews or any other minority. But we must soak ourselves in that value to ensure that it does not happen again. In today’s world, the whole issue of anti-Semitism is again at the heart of public controversy and debate. In Britain, the issue was in the political spotlight until it was eclipsed somewhat by the Brexit crisis. Across Europe, there is evidence of a rise in anti-Semitism in many forms, from murders to terror incidents to vandalism and abuse. The rise in anti-Semitism and other forms of racism is not imaginary and must not be ignored. It must be countered. A hugely complicating factor is the ongoing crisis in Israel and Palestine and the failure of the world powers to devise and put into operation a two-state basis for peace in that region. In Ireland, there is a groundswell of sympathy for the Palestinians. But that does not mean that there is any significant sympathy for the idea that Israel is illegitimate or must be destroyed. The vast majority of Irish people acknowledge the existence and legitimacy of Israel and of its right to security and self-defence. Where most Irish people have a serious problem is with the process of creeping annexation of the territories occupied by Israel after 1967 – a policy that is seen as one driven by a right-wing expansionist element in Israeli politics. The fact that this element holds power on foot of elections in Israel and therefore claims a democratic mandate does not, for most Irish people, legitimise its policy of annexation, expropriation or expulsion. That policy must be judged in just the same way as it would be if Israel, like its neighbours, were not a democracy. There is no right to annexe territory deriving from democracy as distinct from any other form of government. For those of us Irish who have always opposed and condemned anti-Semitism, who strongly support the rights of Jews both here and elsewhere to live as part of our communities free from antisemitism in any shape or form, and who strongly believe that Israel is a legitimate state, and who hope for a secure and safe Israel in a secure and safe Middle East, there is nothing inconsistent in seeking to prohibit the economic annexation of Palestinian territory by legislating to prohibit the importation and sale of goods produced on foot of illegal settlement in that territory in Ireland. Either Ireland and indeed the EU believes in the illegality of territorial annexation of territory contrary to international law or we do not. The same applies equally to Ukraine and the West Bank. Ireland regards the West Bank as occupied territory; Israel wants us to regard it as “disputed” territory. Most Irish people and their government refuse to accept the “disputed” label for the West Bank. It is properly described as occupied and, as a matter of international law, cannot lawfully be settled or annexed. All of the foregoing is relatively trite stuff. But when the Israeli government summons the Irish ambassador to a dressing-down on the basis that the Occupied Territories Goods Bill, which passed the Seanad with overwhelming support and is now being passed by the Dáil, is anti-Semitic, a line has been crossed. There is not a line in the Bill which is anti-Semitic or anti-Israeli. In fact Israel is not mentioned in it at all. It may be “anti” the policies of the Netanyahu-led government but its content and purpose have received support from some Jews and Israelis internationally who can see nothing anti-Semitic in it at all. Without getting self-important, I have to protest at being labelled anti-Semitic by the likes of Binyamin Netanyahu for supporting the Bill. When the likes of Michael McDowell, Ivana Bacik, and David Norris, to name but a few can be publicly insulted by Netanyahu as anti-Semites for supporting this legislation, either language has lost all meaning or the present government in Israel has decided to pervert the meaning of anti-Semitism to smear anyone who stands up for decency and against the cynical usurpation of international norms and law. Nor are we liberal dupes or useful idiots being manipulated by racists or anti-Semites. Netanyahu is busily backing Duterte in the Philippines, Crown Prince Salman in Saudi Arabia, Bolsonaro in Brazil, Orban in Hungary and Trump in Washington. When the Irish parliament is accused of anti-Semitism by the head of a government that exults in such company and wishes to unlawfully annexe the West Bank, unopposed and by stealth, Israel is badly betrayed. When he lets loose the charge of anti-Semitism against people who fairly consider themselves to be friendly both to Israel and the Jewish people across the world, he goes far too far.